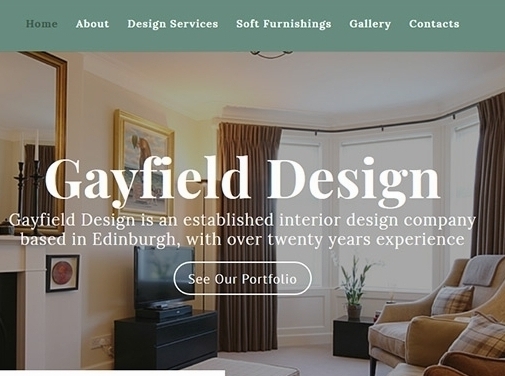 Gayfield Design is an established interior design company based in Edinburgh, with over twenty years of experience. From curtains and soft furnishings to complete interior design projects.Check out our gallery or call 0131 558 8448 to have a chat about your interior design ideas. UK (Edinburgh) based business - with over 20 years' experience - providing a range of interior design services. Website includes details of services provided, work examples, "meet the team" page, associations, full contact details. Company website has been online since 2012 according to web.archive.org.